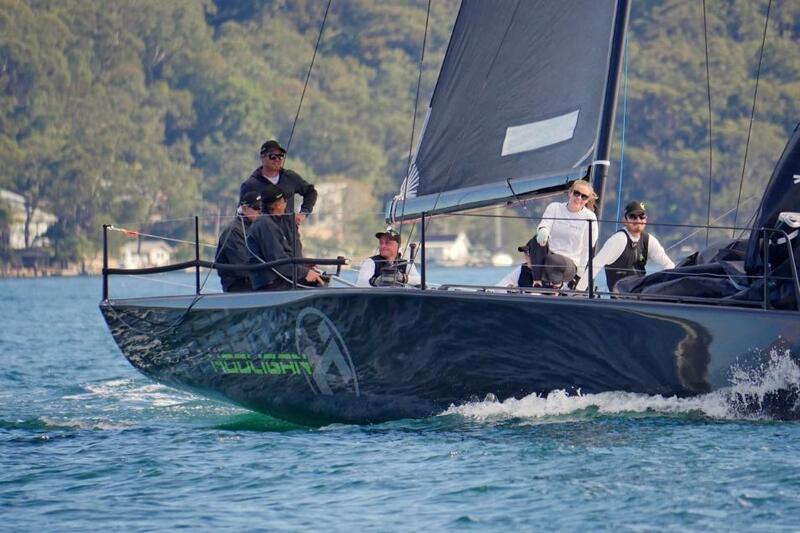 After three years in the development phase, Marcus Blackmore’s Hooligan racing team are hitting regular sixes in the MC38 class in 2018, the combination of tactician Tom Slingsby and mainsail trimmer Paul Westlake key to the winning blueprint the chuffed owner declared. 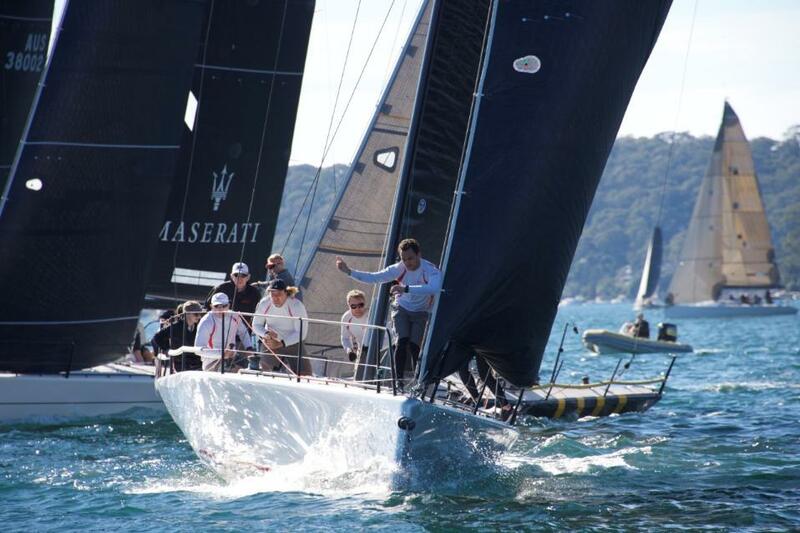 Local boat Hooligan finished Act 3 of the class’ 2018 season first overall after seven races in light winter sou’westers to sou’easters on Pittwater, six points clear of Shaun Lane and Quentin Stewart’s Lazy Dog from Middle Harbour. Third was John Bacon’s Dark Star, Bacon back among the action following an extended break to pursue double-handed sailing. “We’ve got good stability in the crew and for me the interaction between Tom and Flipper (Paul Westlake) is working very well,” Blackmore said at the host club, the Royal Prince Alfred Yacht Club. “Tom’s exceptional; he’s very good at getting back in the race from down the back. He never gives up. That’s a characteristic of these young guys who grow up sailing at Lake Macquarie and spend plenty of time coming up through dinghies; the 470 guys are the same. When everyone else is saying ‘oh well that’s us done’ Tom’s still saying ‘don’t worry, we’ll be right’. “It was a good regatta for us, plus we had a bit of luck,” Blackmore admitted. Hooligan also took out act 2 on Sydney Harbour in June. Many of the Hooligan crew are limbering up for Hamilton Island Race Week next month, where they’ll switch up to Blackmore’s latest TP52 of the same name for passage racing around the Whitsundays in the IRC division. Steve Thomas, tactician and boat captain on the second overall and boat of the day on Sunday July 1, Lazy Dog, agreed it was “super tough” picking the right side of the narrow waterway, which is surrounded by hills, in 5-8 knots of wind moving left 100 degrees. With both Lazy Dog owners away, friend and guest helmsman Michael Firmin steered the MC38 brilliantly over the two-day winter series. Originally from Darwin and now based in San Francisco, Firmin combined easily with the likes of fill-in mainsail trimmer Sam Newton, usually on Lightspeed, and the regular crew who were happy to stick it to the reluctantly missing owners. Their 300m lead in race five gave the team an opportunity to take plenty of onboard happy snaps, showing those absent grinning faces and daylight between Lazy Dog and the rest of the fleet. Four of the seven Act 3 one-design starters scored a bullet and Hooligan collected three wins, two seconds, a third and a seventh in the final race they didn’t need to sail to finish back-to-back trophy winners. 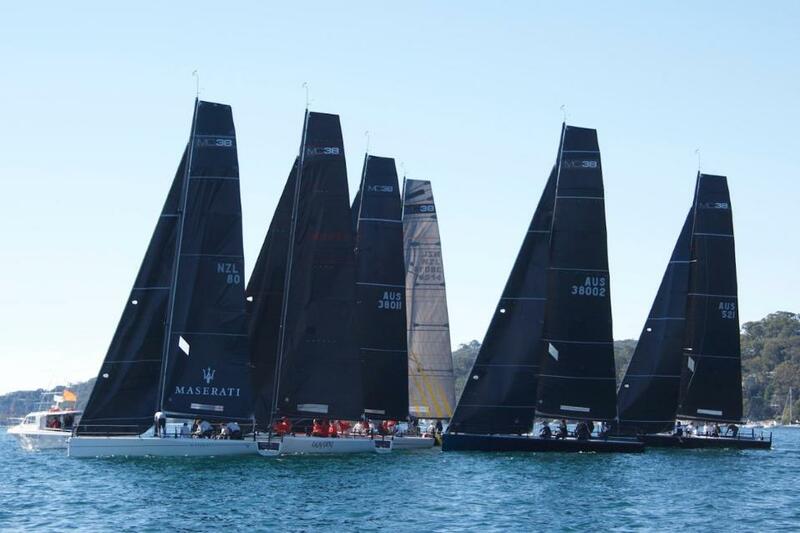 The next event for the class is Act 4, on the weekend of September 29-30 on Sydney Harbour.